A couple of posts ago I observed that President Trump is facing an "orchestrated" effort to remove him from office. What do I mean by that? I suppose some silly-arsed progressive might snort "conspiracy theory" ... and return to yapping that Trump is a Russian agent, a real conspiracy theory to which we'll return. There's plenty of evidence that Trump faces an orchestrated, semi-coordinated opposition that is out to destroy him and his presidency. Let's start at the beginning. The night Trump's victory was first announced (early AM, actually), New York Times immediately ran op-ed headlines on its mainpage calling America a "failed state" and "failed society," lamenting "not to recognize my country any longer." The "news" pieces had a similar tinge of end-of-the-world hysteria to them, despite the fact that half the country (the half that works!) was happy enough with the outcome. But Democrats -- who have denied the legitimacy of every presidential election they've lost since Reagan -- immediately went into resistance mode (resisting democracy!) Democrats attacked the ballot counts in Michigan, Wisconsin, and other states (an effort that went silent when a recount in Wisconsin showed Trump's margin had been understated, and in Michigan there were improprieties that made ballot totals non-recountable, committed by election officials in Detroit, where Hillary was an overwhelming winner). Democrats next attacked the Electoral College, denying its legitimacy, trying to convince electors to be faithless, and death threats against electors. Also, the day after the election Democrats began discussing impeachment, even though Trump could not possibly have committed an offense -- he wouldn't even be president until several more months had passed. And we now know that Susan Rice, Hillary's advisor and former State Dept. official Evelyn Farkas, and may others, began an operation to spread political intelligence and rumor on Trump throughout the federal bureaucracy for later use against him. (Leaks, anyone?) The Obama administration also began shifting political appointees into civil service positions so that they'd remain in place once the transition to a new administration occurred. Leftists groups also quickly announced plans to oppose Trump at every step, including lawsuits, demonstrations, marches, and riots. For example, the ACLU --which is always sending me requests for money (I was a member back in the '80's, back when they still believed in civil liberty and weren't simply part of the Democrats'left wing) announced plans to sue Trump -- for what, they weren't sure, since the Electoral College hadn't even met, Trump had done nothing and wasn't President, and there were no grounds for a suit. Also, George Soros and other major donors to the left began earmarking funds for "the resistance." Soros is an interesting case. He's not someone who simply writes checks and then forgets about it. That's not to say he micro-manages things he finances, but he does watch them closely. For example, a friend of mine who taught in a former communist country with the Open Society program told me about meeting Soros, that he tried to meet with everyone in his operations, not to manage but to make sure things remained on the track he wanted. Soros has occasionally announced goals for the United States, including gun control, the elimination of free market theorists from academic economics, and the defeat of conservative political candidates. He's spent hundreds of millions in these endeavors and has largely failed. It's impossible to believe he's spending hundreds of millions more without ideas for how to be more effective in the future, i.e. without a plan, a "conspiracy" if you like. These sources of opposition to Trump -- the MSM, the Democrat party, the federal bureaucracy, leftist NGOs and donors -- can be engaging in coordinated efforts to destroy Trump without there being "one big conspiracy." A big, centrally organized conspiracy is rarely, if ever, the way things work. Rather, like-minded individuals coordinate and complement each others' efforts without central direction -- spontaneous order. When birds of a feather flock together, the flock can look as if it has a single led\ader following a single plan, but that's an illusion. Individuals simply manage to coordinate their behavior -- kind of like an orchestra, which performs regardless of how the guy standing in front of them waves the baton around. It's clear the Democrats in Congress have organized themselves to try to impede President Trump in every way and to impeach him if possible. They said so before he was in office. It's clear that leftist groups, NGO's, donors, etc. have done the same. A part of the federal bureaucracy is engaged in an attempt to overthrow Trump. The MSM (mainstream media) has abandoned pretense of being anything other than Trump's opposition. Even some of the Republican leadership is in on the effort, Senator McCain being a prime example. Every one of these announced plans to get him well in advance of the presidential inauguration. One would have to be rather stupid at this point to cry "conspiracy theory" at my observation that Trump faces orchestrated opposition. An interesting question arises -- what should libertarians make of all this? Well, that depends on whether they are classical liberal libertarians, or post-modernist libertarians. That will be the subject of an upcoming post. Once again, it's migration season! Our annual spring trek to Montana begins tomorrow, as Yours Truly and (almost) the entire staff of Unforeseen Contingencies depart for the Great American West. While we might blog a bit along the way, it's more likely you'll next hear from us from our secret location near Bozeman. 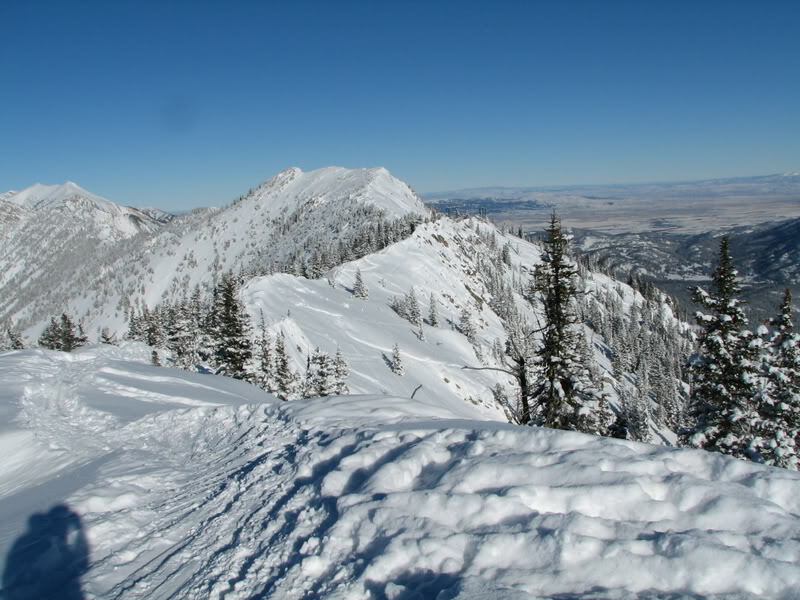 Incidentally, there were heavy snowstorms in Bozeman and elsewhere in Montana today. Meanwhile, here in [redacted] we're suffering through heat and humidity, which is bringing out hordes of hideous biting and stinging bugs. Montana! We cannot get there soon enough! Photo: Bridger Ridge from Baldy, Bridger Peak in foreground, then Saddle. We expect to be up there soon. Wow! The breaking news regarding Trump, Comey, et al. gets crazier and crazier. Unfortunately, almost all of the breaking news is leaks from unidentified sources. I had been planning on linking to several pieces that would suggest I incorrectly regarded Comey as a traitor and coward; one was by Andrew Mccarthy, a former federal prosecutor who knows Comey well. McCarthy agreed Comey had to go but interpreted his behavior differently: politically naive and perhaps a little arrogant. McCarthy also pointed out there's no obstruction of justice issue with respect to the investigation of Russian "hacking of the election," (One cannot hack an election; that's sloppy language for something else and misleads, intentionally, I think.) The investigation was a counterintelligence investigation, not a criminal investigation, hence obstruction of justice isn't an issue. But now, with claims surfacing that Trump might have interfered with a criminal investigation of Michael Flynn, the issue might be different. (Same link as above.) Plus, there's now a claim that Paul Ryan secretly said he thought Putin paid Trump. Good grief. Leaks -- whatever is happening, this strikes me as a war of various people inside the U.S. government (and perhaps others, such as Russia) selectively leaking material. What is and what isn't true can't be reasonably judged by outsiders, certainly not at this point, and developments come so fast there's not much point in trying to comment. Trump is almost certainly target of an orchestrated campaign, but he brings much of this chaos upon his own head. He needs better advisors than Reince Priebus (ugh) and now. And he needs to silince his Twitter account immediately. However, Vladimir Putin has just described the U.S. as being seized by "political schizophrenia," an apt turn of phrase. Putin may be intentionally playing a role in it... or maybe not. But Americans are increasingly divided between poles of belief in freedom and limited government vs. new left totalitarianism and socialism, and politics will be increasingly bipolar so long as that lasts. Update: of course, it turns out to be Fake News that Ryan suspected Trump of being on Putin's payroll. It was a joke Ryan made to some other GOP congressmen. NYT, WaPo, NPR, CNN -- "Fake News R us!" 1. In his 5th of July statement on the investigation of Hilliary Clinton he laid out a very strong case against her. He then refused to prosecute, inventing a standard that does not exist in the relevant law (intent, when the Espionage Act requires only gross negligence), ignoring the obvious evidence of intent, and then concluding that "no reasonable prosecutor" would prosecute. I cannot imagine an average citizen having such evidence against them in a felony investigation and being let go without prosecution. Comey violated his oath of office, in an unusually serious case, and should have been impeached or otherwise removed from office at that point. I suppose he did this out of fear, not inherent corruption, but a man who takes the oath and the position Comey took ought to be prepared to die doing what is right. He's a coward and a traitor. 2. During his recent testimony to Congress Comey was asked about a report in NYT that the FBI had an email obtained from alleged Russian hacks of the DNC which discussed a promise from Loretta Lynch that she'd stop the investigation of Hilliary Clinton. Asked when he learned about this email, and who sent it to whom, he refused to answer, saying he could not answer in an open hearing because the answer would be classified material. That is, he was aware of AG Lynch's statement. So, law enforcement officers decide how to apply the law in order to protect and promote one political candidate? Comey ought to be prosecuted for violating his oath of office. There are more important targets -- Hilliary Clinton and Barack Obama foremost, but also Loretta Lynch... and Susan Rice... and Lois Lerner... and Eric Holder... and plenty more. The Democrats are now trying to stage a coup against Trump. Trump and the Republicans had better ger serious and start going after these criminals, because if the Dems get away with what they've been doing and then return to power, they won't hesitate to ruthlessly destroy their opponents. So good riddance to Comey. And now, start doing serious application of the law. Prosecute Clinton/Obama criminality. What's going on in North Korea? The Chosun Ilbo notes that China's Global Times recently had a piece suggesting that China need not become involved militarily if the United States strikes North Korea's nuclear facilities. I can't find the piece, but I did find another, a collection of four viewpoints, all of which refer to growing hostility between P.R. China and DPRK. In the first someone (an online commenter, it appears) suggests that China ought to be prepared for war with North Korea, should hostilities break out. Even more noteworthy is that China has cut gasoline shipments to North Korea leading to sharp price increases and rationing. China could shut down the North Korean economy if it wished. What to make of the apparent shift in Chinese position on North Korea? It would be interesting to know what was discussed at that Trump-Xi meeting, and it would be interesting to what intelligence analysts actually know about North Korea. Some defense experts have been suggesting that North Korea already may have placed nuclear weapons in orbit, in its two KMS satellites. James Woolsey and Vincent Pry argue that these could be used for an EMP attack on the United States. In a Townhall interview, Pry recommends the U.S. shoot down North Korea's satellites, the sooner the better. (That interview is the most interesting and important link in the blog post. Read it, if nothing else.) Pry also thinks DPRK might already have working nuclear armed ICBMs. What to make of all this? This is the kind of issue in which citizens are at an enormous informational disadvantage. I conjecture that Trump, and Xi, and Mattis, and Tillerson, know things about North Korea that are changing the calculus, and that they regard Kim Jong un's regime as more dangerous than previously, enough so that they are willing to contemplate pre-emptive war, perhaps through strikes on nuclear and missile facilities, perhaps through shutting down of the DPRK economy. The trick would be to avoid a crazed retaliation against Seoul and an all-out war on the Korean peninsula. I hope they can figure out how to pull off such a trick. At the very least, though, I think the U.S. should knock out North Korea's satellites ASAP, and not permit any to orbit in the future. Military technology is getting cheaper and more powerful. We are getting close to the point where the world cannot tolerate belligerent rogue states such as North Korea, Iran, and the like. We're on the verge of transitioning to a Type I civilization, a dangerous moment. We get through this period, or we destroy our civilization, and perhaps ourselves with it. When the world includes people like Kim Jong un, it's doubtful we can transition without bloodshed, and certainly not without muscle. 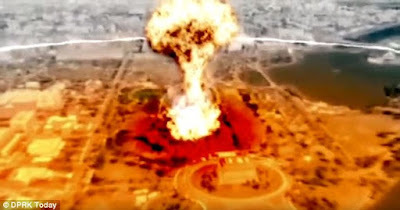 Picture: Simulated nuclear strike on Washington D.C., from a recent North Korean propaganda video. 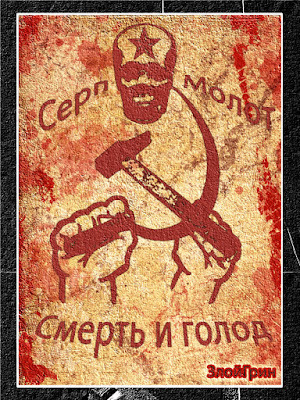 May Day: International Victims of Communism Day, as law professor Ilya Somin calls it. I prefer the more accurate term "Victims of Socialism" Day, since the socialist systems Marx claimed would advance the world to the next stage of history, communism, proved entirely unable to advance to anything other than generate chaos and destruction. And there's no need to let socialists like the Fabians or Comrade Sanders or Comrade Maduro off the hook when they pretend not to be communist. Nor should we forget that Hitler's National Socialism was explicitly socialist; the Nazi writers were explicitly hostile to capitalism. Mussolini began his socialist career as a Marxist; his Fascism simply substitutes the mythical Italian "organic state" for the equally mythical "international proletariat." Socialism is all about empowering social engineers to remake society according to their own visions, and necessarily becomes tyrannical and brutal. It must have conformity, and hence always has victims. 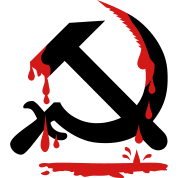 So today, 1 May, "we" at Unforeseen Contingencies observe a moment for meditation on the victims of Marxism and other forms of socialism, and renew our vows to fight it to the death -- socialism's death, that is. Here are a couple of pieces on the subject worth reading. Helen Raleigh recounts the brutality heaped upon her relatives and others by Mao's "Cultural Revolution." D.W. MacKenzie explains why socialists' quests for "social justice" necessarily lead to conflict, violence and totalitarianism. Socialism is slavery, its advocates are ignorant and despicable, and the socialist project deserves only scorn and contempt. Comrade Bernie, are you listening? Hammer and Sickle. Death and Hunger.